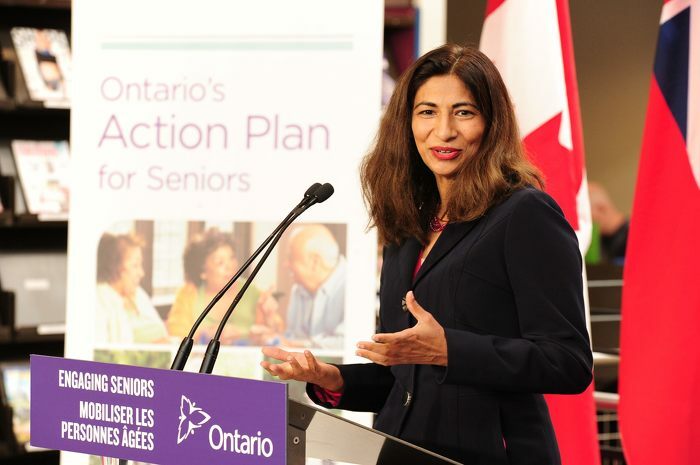 September 30, 2016 9:30 A.M.
Minister Responsible for Seniors Affairs Dipika Damerla made the announcement this morning at the Idea Exchange in Cambridge. The organization offers art workshops for seniors in the community, supported by funding from the Seniors Community Grant program. The program, now in its third year, is Ontario's first dedicated solely to supporting seniors. It focuses on initiatives and projects in the non-profit sector that encourage greater social inclusion, volunteerism, education and community engagement for seniors across the province. Successful projects reflect the diversity of Ontario's seniors and can provide programming at a local, regional or provincial level. Projects include activities such as outreach and support services, training of volunteers, health and fitness programs and computer literacy. Helping Ontario's seniors stay active and involved in their communities is part of the government's economic plan to build Ontario up and deliver on its number-one priority to grow the economy and create jobs. The four-part plan includes helping more people get and create the jobs of the future by expanding access to high-quality college and university education. The plan is making the largest investment in hospitals, schools, roads, bridges and transit in Ontario's history and is investing in a low-carbon economy driven by innovative, high-growth, export-oriented businesses. The plan is also helping working Ontarians achieve a more secure retirement. This year’s Seniors Community Grant program has invested $2 million in 380 local projects across the province. Launched in 2014, the program has invested $5 million to support 923 projects impacting approximately 256,000 seniors across the province. There are more than two million seniors older than 65 who live in Ontario. This number is predicted to more than double in the next 25 years. Dipika Damerla, Minister Responsible for Seniors Affairs delivers remarks at Cambridge’s Idea Exchange regarding the government’s Senior Community Grant program. 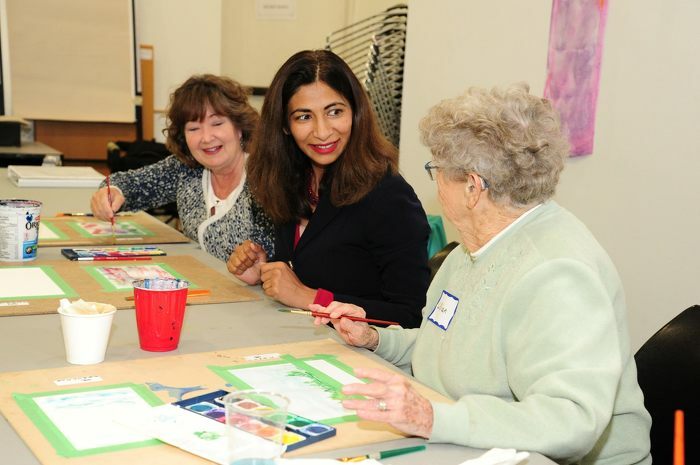 Dipika Damerla, Minister Responsible for Seniors Affairs and Kathryn McGarry, MPP (Cambridge) meet with local seniors during an art workshop.